Is this the reason George Clooney's getting married? We think we know what changed the long-term bachelor’s mind about marriage. 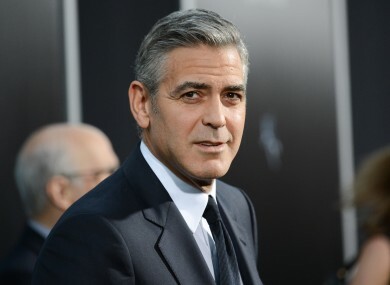 IN A MOVE THAT shocked the world George Clooney reportedly proposed to his girlfriend, British lawyer Amal Alamuddin, over the weekend. The 52-year-old actor has had high-profile relationships with many women over the years, most recently a two-year-long romance with former WWE star Stacey Keibler. But he had famously pledged never to marry again – so what made him eat his words? We think we know. 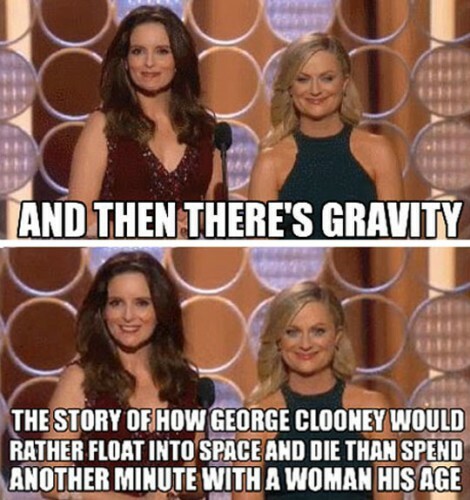 This cutting joke from Amy Poehler and Tina Fey at the Golden Globes in February just might have made him re-think his philosophy. Either way, this is about Amy and Tina. Or else he’s really in love, and has finally been pinned down by a worthy woman. Perhaps that too. Email “Is this the reason George Clooney's getting married?”. Feedback on “Is this the reason George Clooney's getting married?”.